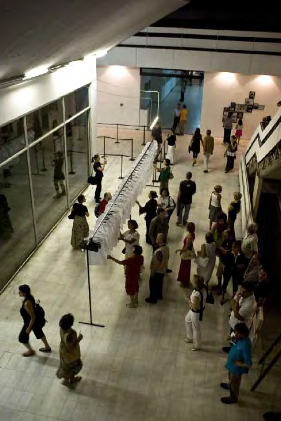 Solo Exhibition, exhibited at Museum of Contemporary Art, Skopje. Industrial shirt railing, 15x1m, 100 hand painted T-shirts, 100 hangers. During the course of the day of the exhibition opening, a group of eight factory workers occupy a row of work tables, working on industral sewing machines, manufacturing T-shirts. Myself, also dressed in a worker’s uniform, has joined the end of the production line. 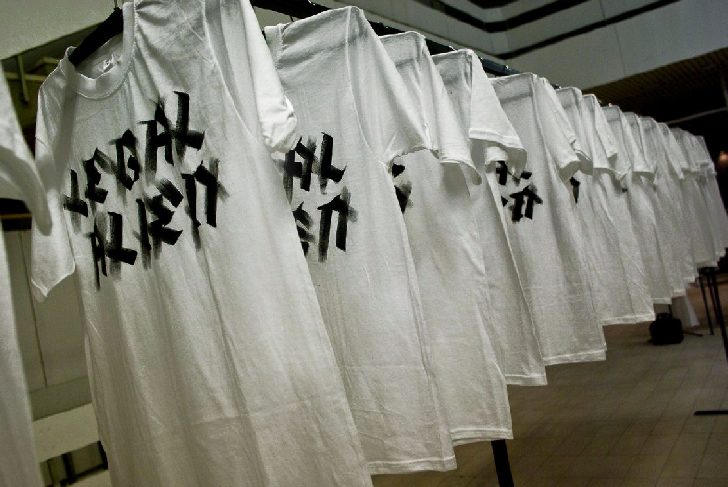 As the shirts emerge from the workers’ ‘production line’, I completed them by hand painting a selection of slogans onto the front side of each T-shirt. 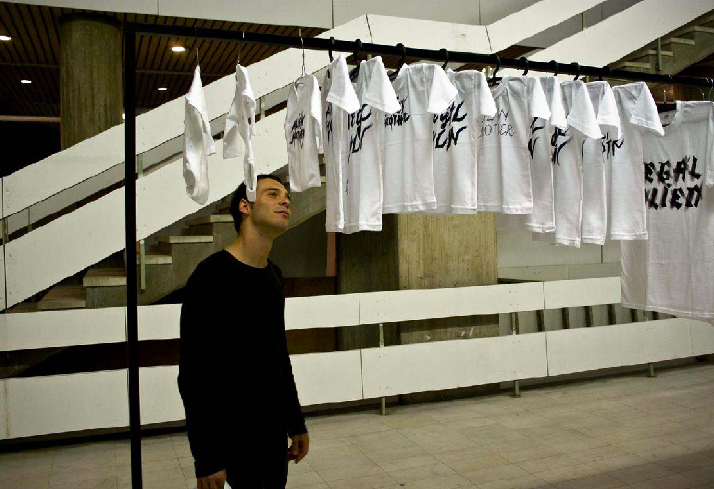 After the completion of the T-shirts, they were displayed on a long railing within the main gallery space (artwork: Aliens Inc.). 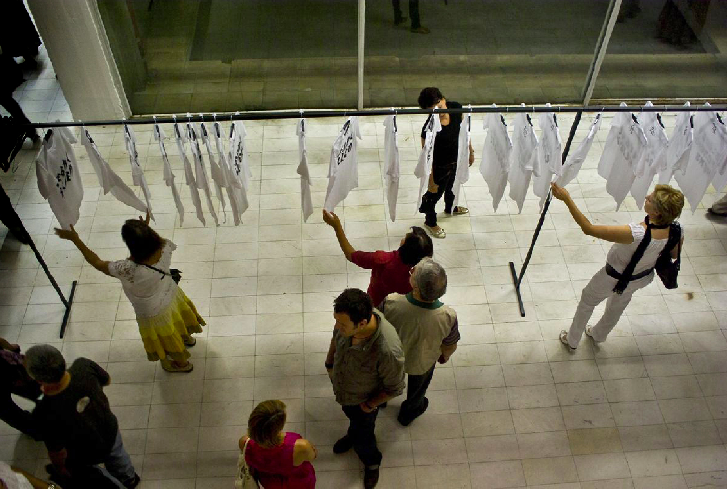 The T-shirts remained displayed on the railing for the entire duration of the exhibition.